I received this notebook for free from jbwelly.com. Happy Friday, my fine friends! If you follow me on Instagram, you probably know that my friends at J*B Welly sent me the highly-anticipated Rhodia Goalbook. When I heard Rhodia was developing this book, I was poised and graceful. I did NOT jump up from my computer like I had won the lottery. I did NOT scream like a banshee and wake up my dog. And this is NOT actual footage of my celebration dance. Just kidding. I did all of those things! A while back, the nice people at Rhodia gifted me with a Webnotebook to review, and I fell in love all over again with Clairefontaine paper. It’s amazingly smooth and works well with fountain pens. As much as I love my Leuchtturm1917 notebooks, the thin paper is less than ideal for fountain pens. I enjoyed using the Webbie and the Rhodiarama soft covers, but the Webbie only came in black and orange. Both notebooks only had 1 ribbon marker, no numbered pages, and no built-in index. 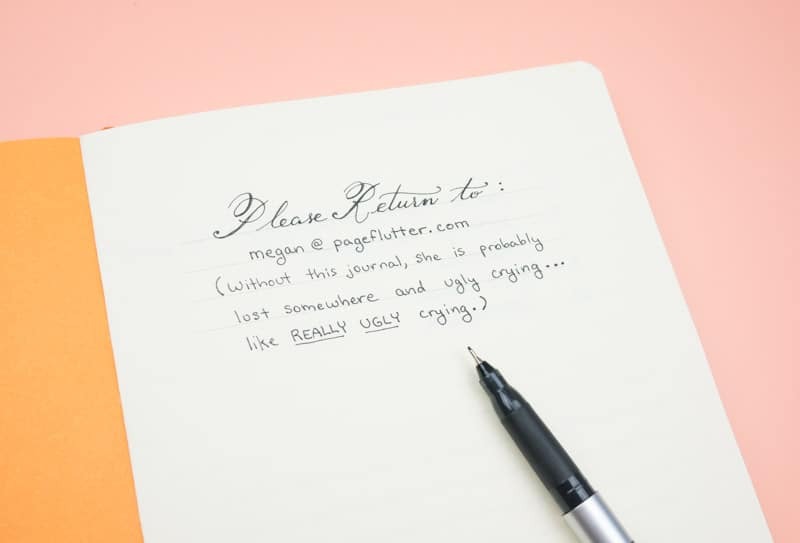 These are all pretty minor complaints, but hey, we journal lovers can be a persnickety bunch. The Clairefontaine paper makes Rhodia products stand out for me, but I still wanted all the features I had in my Leuchtturm1917. No shame! This wouldn’t be a proper Rhodia Goalbook review without list of features. At first glance, the Goalobook looks a lot like a Rhodiarama notebook. 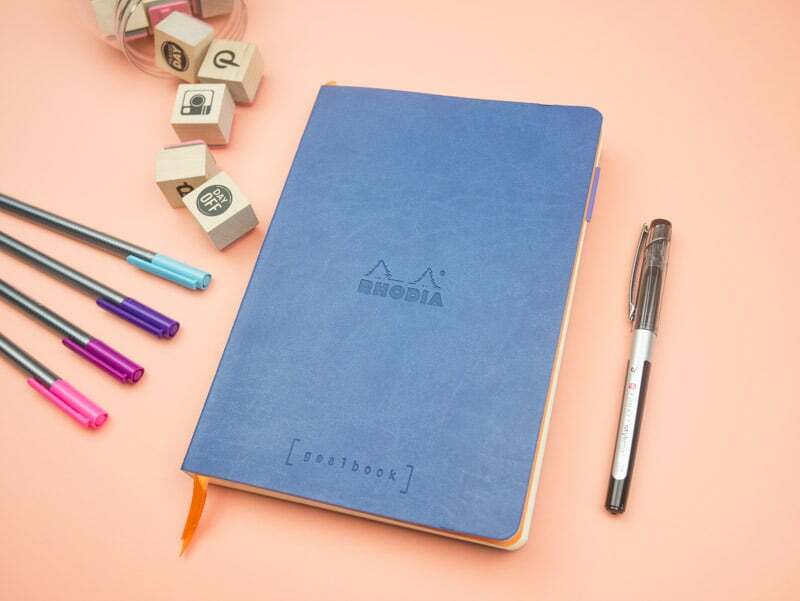 Essentially, Rhodia revamped the Rhodiarama to create the Goalbook. Voila! 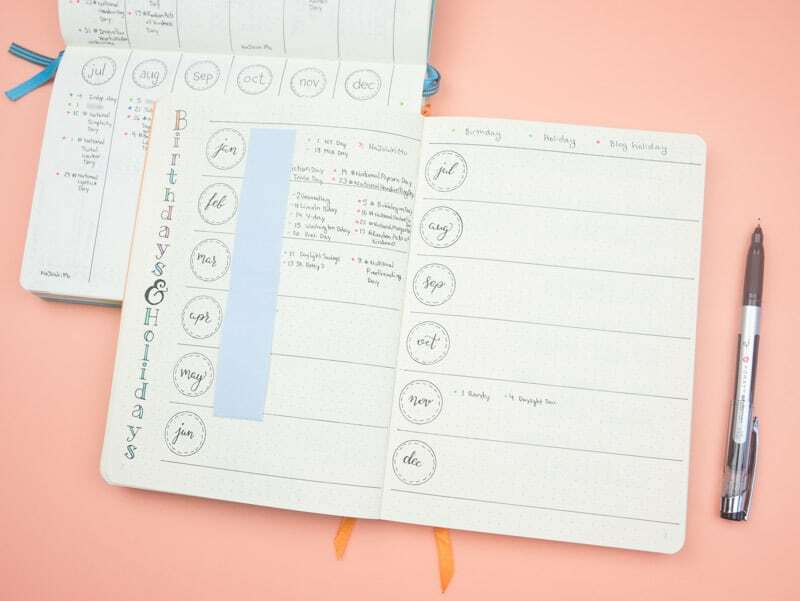 The ultimate journal planning tool. Softcover, comes in 16 colors! Ok, that’s enough about the specs. Let’s see this bad boy in action, huh? I ran out of pages in my current journal just in time to jump over to the Goalbook. In fact, I was just about to crack open my Sand Leuchtturm1917, when J*B Welly emailed me to say the Goalbook was in the mail. Sorry, Sand. You’ll get your turn. First things first. I put my contact info in the front of the journal. Rhodia added some lines on the first page so you don’t forget (they’re kind of hard to see in the photo). Since I’m moving to this journal in September, I came up with a plan to get the most out of the printed annual pages. I added the days of the week and drew a red line between August and September. Everything from now until January is 2017. Then I can use the other months for 2018 (assuming I’m still in this notebook). That gives me a full year of future planning space. Lucky for me, this Column layout is the format I already use for future planning. Woohoo! You can see more future planning layout options here. 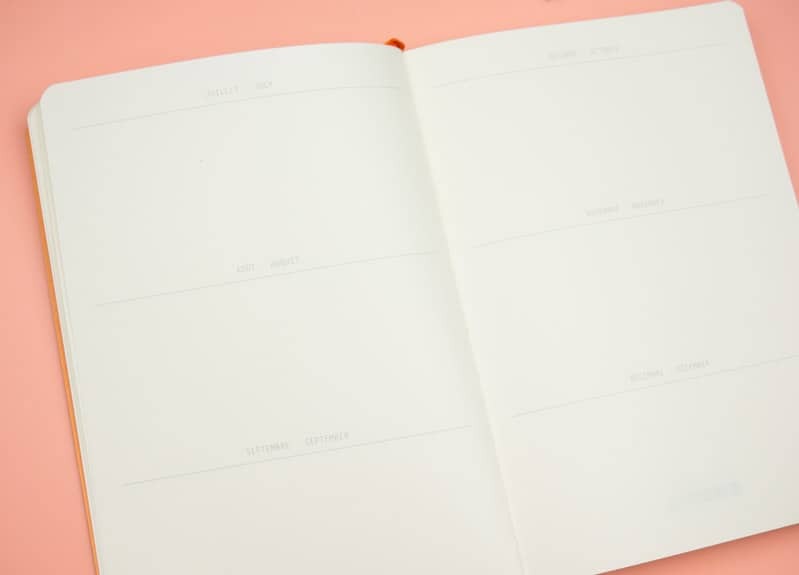 The next four pages are printed with undated blank spaces for each month. The months are printed in light grey, so they don’t photograph especially well, but in reality the print is clear without being obtrusive. 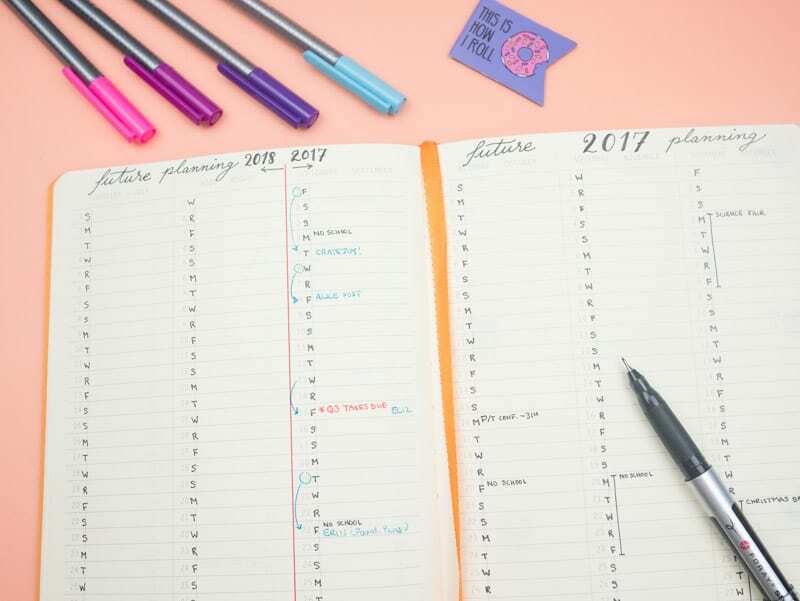 The monthly areas are handy for birthday, holidays, or other projects that occur each year. 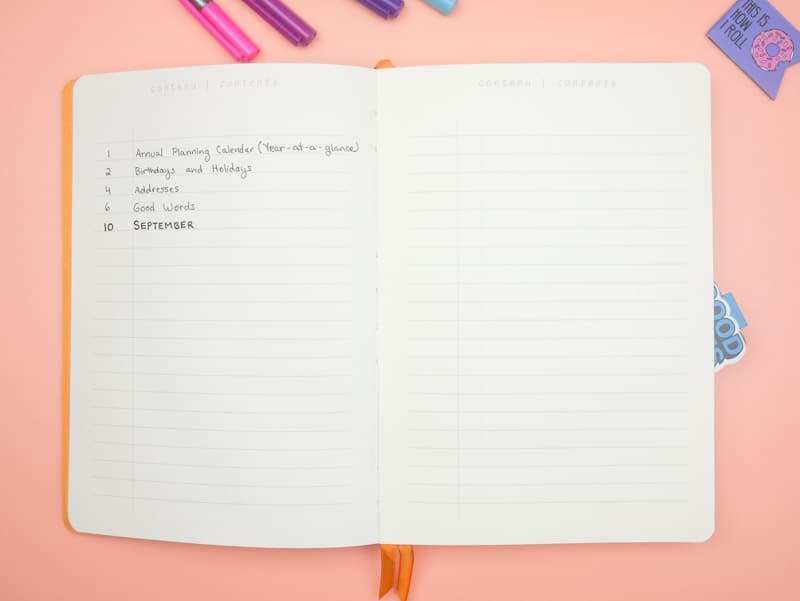 Sometimes you don’t have a specific date for an event or task, so you can throw it one of these spaces until you’re ready for more details. I already had a birthday/holiday layout I wanted to use, so I decided to use these pages for general project planning. It was looking a little dreary, so I busted out my trusty Staedtler Fineliners and my brand new Tombow Twin Tones (they’re gorgeous, by the way) to added a few colorful doodles. There is a pocket in the back of this notebook (hooray!). For me, a pocket is non-negotiable. You can always add one yourself, but it’s nice when a notebook is ready to go. 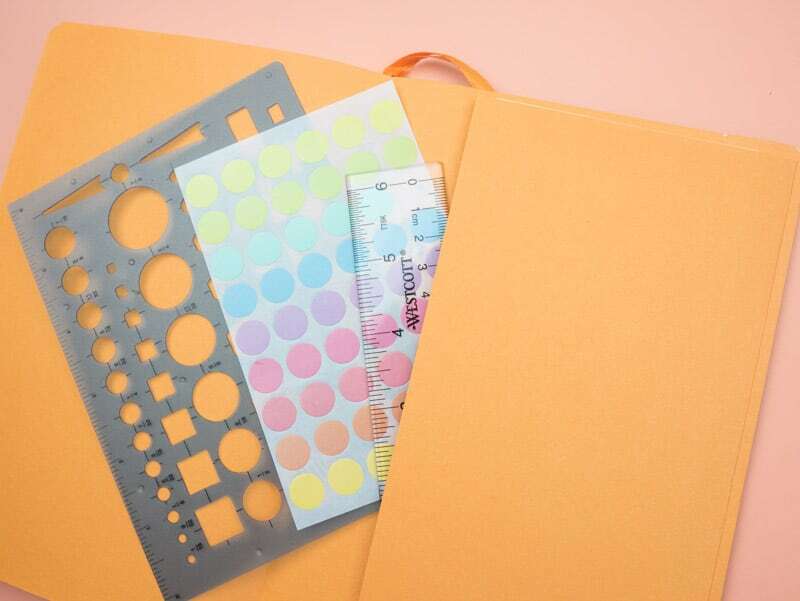 I keep a ruler, stencil, and page labels in there so I always have them. Let’s move on to the table of contents (index). The Goalbook has the longest table of contents I’ve ever seen: 6 pages! I usually work with 4 pages, and I haven’t ever run out of room. I’ve had a couple close calls, though. I appreciate the extra breathing room in this long index. The rest of the journal is filled with numbered dot grid pages (the last page is #224). I always try to fill my first page right away. Otherwise, I get the first-page jitters. This at-a-glance calendar is always handy to have, especially if you need to check a date many months in advance. I filled it out for 2018 (the rest of 2017 is covered with my future planning pages). 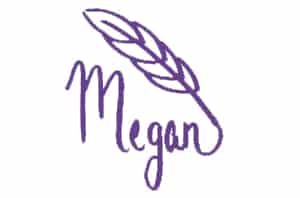 Of course, I couldn’t resist adding a pretty doodle to the blank page on the left. Many of my college friends moved home to Colorado recently, and it’s made me extra homesick. So, I decided to bring a touch of home to my journal. That’s the power of the pen, people! I mentioned that I keep a separate birthday tracker in my journal. I shared my previous birthday layout in this post, and I was mostly happy with it. I changed the orientation a bit, but I kept the overall layout the same. With the basic setup complete, I can move on to my regular monthly planning pages. I didn’t do any August planning in this notebook, but I like having these pages. 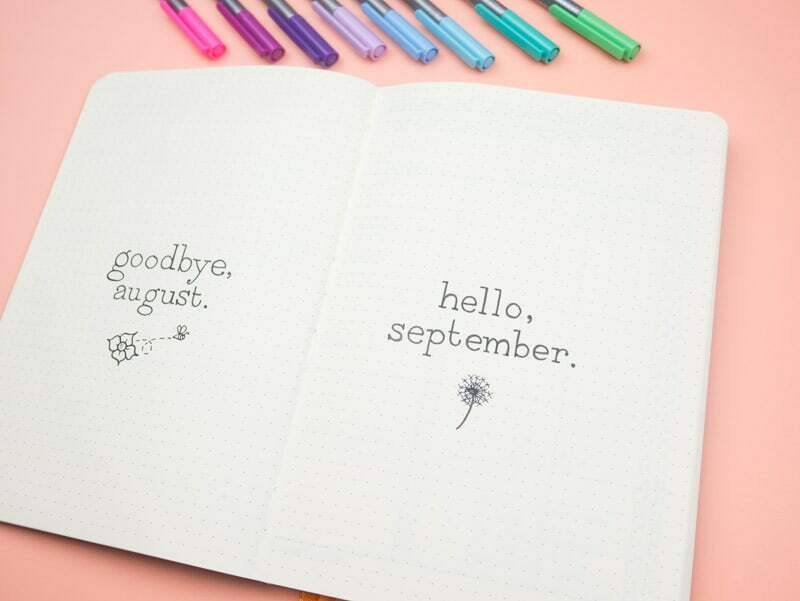 It’s like a breath of fresh air before I dive into September’s monthly planning pages. In case you couldn’t already tell, I’m thrilled with this notebook. For months, I grumbled to Mr. Page Flutter that I needed my LT1917, but with Clairefontaine paper (he was nice enough to nod along and say he totally understood why it was so important to me). I finally, FINALLY got my wish! 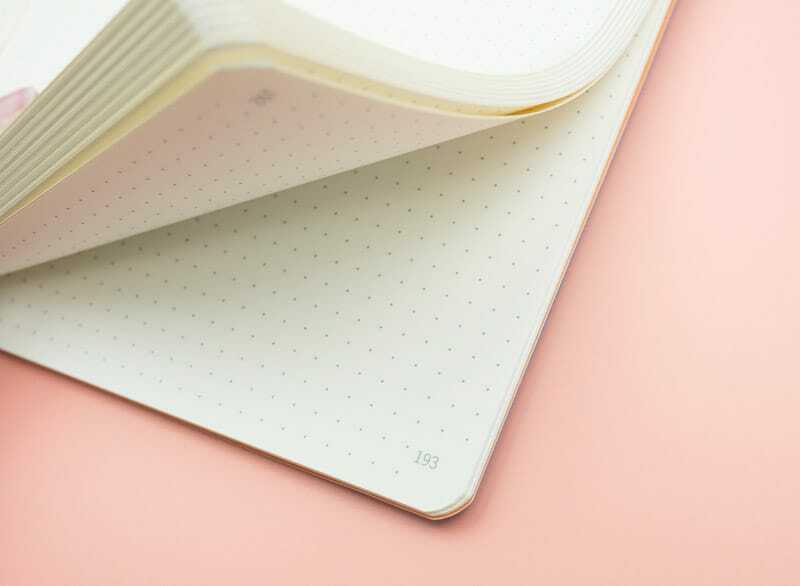 The soft cover makes the notebook lightweight, and it’s flexible enough to squeeze into a purse. The paper is, of course, incredible, and I LOVE the planning pages they’ve added at the front. They cut down on how much time I spent transitioning to the new notebook. If I had to complain about something, I’d say the ribbon markers are too short. They sometimes get lost in the pages. I’ve been using magnetic bookmarks, anyhow, so I’m not especially worried about the ribbons. If you’re ready to try the Goalbook for yourself, you can grab one at jbwelly.com. Over to you! 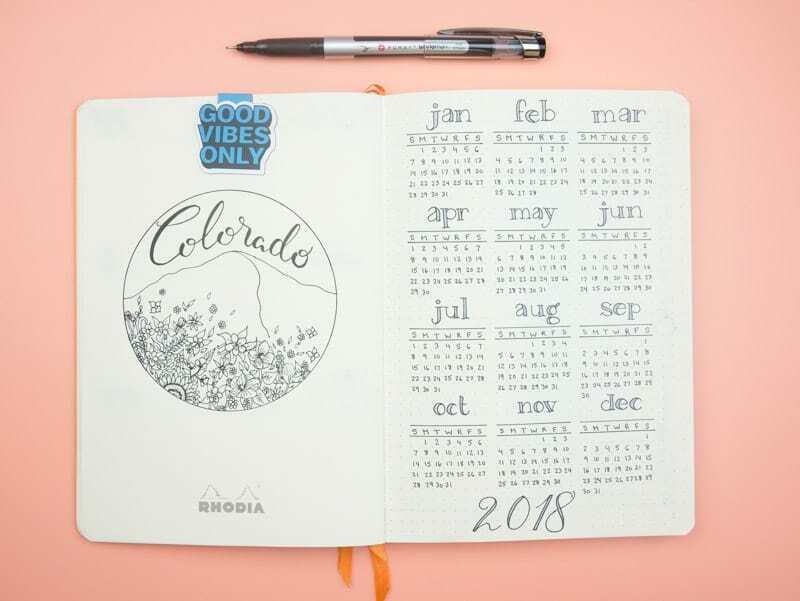 Have you tried the new Rhodia Goalbook? 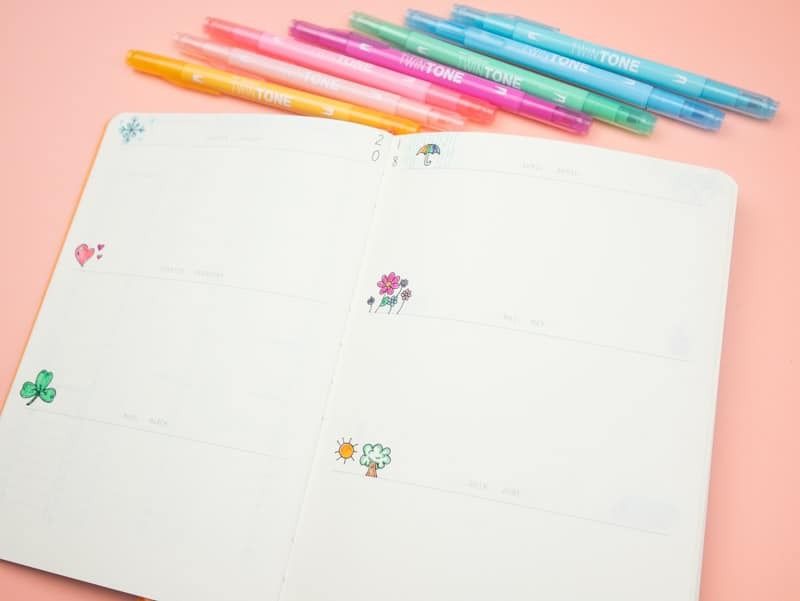 Comment below to share your journaling favorites and fails! So excited for this review on the Rhodia Goalbook as I have it on my ‘list’ of notebooks to try out!! Excited to see how the paper feels!! Woo Hoo!! 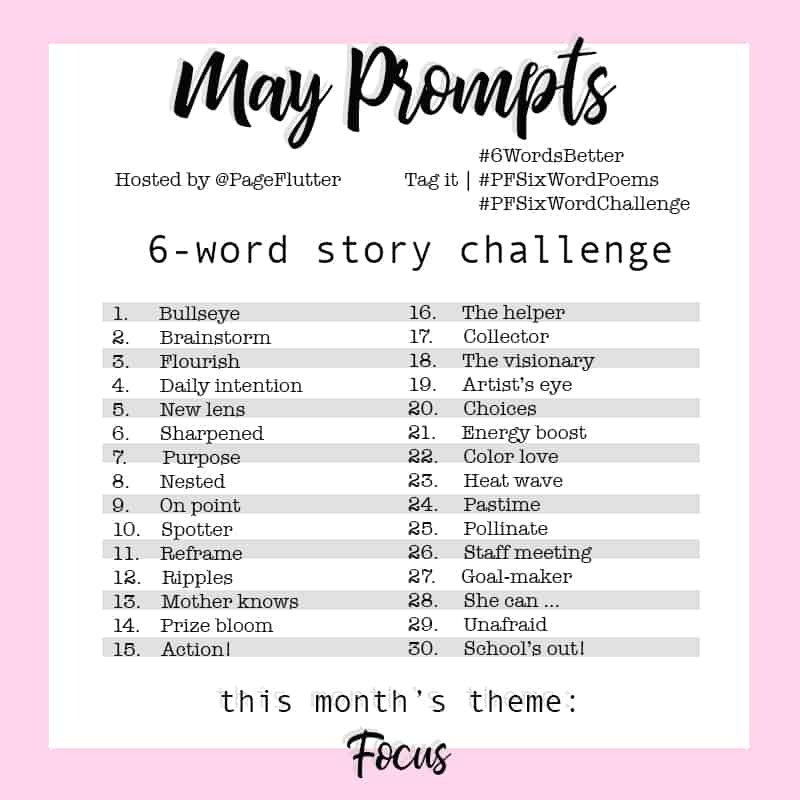 I did a review on my blog of the ones I plan to try and will do a review myself as well. And YOU got it for FREE to boot!! Lucky ducky YOU!! Doing the happy dance with you! Does markers or pens bleed through the paper or ghost? I have found thats a problem in my LT1917 and want a notebook that doesn’t ghost as much. Thanks! I don’t get nearly as much ghosting with Rhodia’s paper. It’s thicker and not as porous. That being said, I still get heavy ghosting with permanent markers or oil-based art markers. Stick with water-based markers and artists pens (like Staedtler Fineliners, Tombow brush pens, Pigma Microns) and you should be fine. I am a great Rhodia fan as I am a fountain pen user. I have used their webbie notebook for journaling. I ended up swinging to that rather than the goalbook due to the hardcover…but it was a close call decision. I wondered why they did not offer me as a customer the choice of either har or soft cover for my notebook as they do both types. I am interested in hearing your thoughts on the soft versus hard covers. Thanks for your inspirational ideas. Hi, Jeannette! Given the choice, I probably would have gone with the hardcover, as well. I wonder if that will be an option in the future. I like how light and portable the softcover is, but it’s a little more difficult to write in the early pages of the notebook. The Goalbook lays flat with no problems, but the softcover collapses near the spine when you write on the left page. This would only be a problem at the very beginning or very end of the notebook. I just supported it with another small notebook. For me, it was a very minor inconvenience, and it didn’t affect how much I enjoyed using the notebook. Other people may feel differently. I hope that helps! Thanks for your feedback on how you work-around the soft-cover. I chose the webbie due to the cover but after your review I think my next one will be a GoalBook. For me, the quality of the Rhodia paper makes their products by far preferable no matter the other features as writing on such wonderful paper is just fundamental. 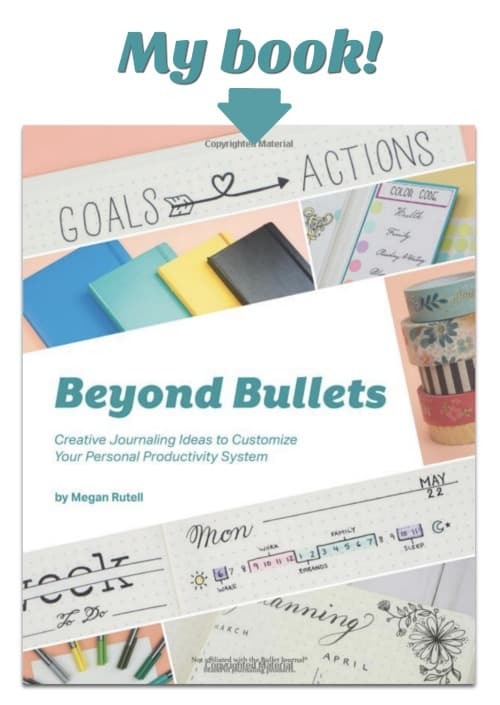 I hope that down the road they offer us a choice on GoalBooks with either soft or hard covers because then I think they really have a winner to suit many, many Bullet Journal users. As I recall there is 192 pages in the Rhodia Webbie including the first opening page. That too speaks in favour of their GoalBook. I hate ghosting too, so the Rhodia paper is really generally good for me, not that it never happens but it is not with fountain pens but more frequently with some felt pens as you wrote to Brooke above. But ghosting is generally low with Rhodia paper.